Published on September 9, 2009 in Bands/Artists and Music. 3 Comments Tags: Amplified Gesture, book, box set, CD, David Sylvian, deluxe edition, documentary, dvd, hard bound, Manafon, samadhi sound, upcoming release. Next Tuesday (9/14) is the long-awaited release date of David Sylvian’s newest effort. Titled Manafon, it will be released on his Samadhi Sound record label he formed after he left Virgin Records in 2003. This departure from Virgin has given David one of the most productive and creative periods since his 80’s output. But, I think it was the situation surrounding the ostensible 1991 Japan reunion album Rain Tree Crow that started to stress the relationship between Sylvian and Virgin. These session started with improvisations of the band and were later amended with Sylvian’s vocals and lyrics. Around the time of the release Sylvian was interviewed (I think Magnet Magazine) and he said that he was under a lot of pressure to release the album unfinished– he had wanted to add more production and texture to the work. 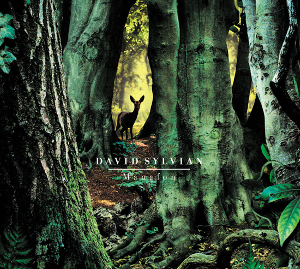 …Sylvian pursues “a completely modern kind of chamber music. Intimate, dynamic, emotive, democratic, economical.” In sessions in London, Vienna, and Tokyo, Sylvian assembled the world’s leading improvisers and innovators, artists who explore free improvisation, space-specific performance, and live electronics. From Evan Parker and Keith Rowe, to Fennesz and members of Polwechsel, to Sachiko M and Otomo Yoshihide, the musicians provide both a backdrop and a counterweight to his own vocal performances – which, minus one instrumental, are nakedly the center of each piece. Indeed, when you listen to the samples of each of the tracks from the site, it is noticeably more a vocal work than instrumental. David’s voice still the gorgeous tenor it has always been, but the trademark lush and/or ambient production is non-existent apparently on Manafon. Manafon will come in two forms: a standard CD release in a 6-panel digipak with the Ruud Van Empel artwork pictured above, and a Deluxe Edition which will have the same CD as the standar release, plus a DVD with a feature-length documentary titled “Amplified Gesture” and a 5.1 Surround (Dolby and DTS) version of Manafon. If the bonus content of the Deluxe Edition weren’t enough, the CD and DVD will come with 2 hard back books in a rigid slipcase as well as a portrait print of Sylvian done by Atsushi Fukui. The first 2000 of this edition will be signed by Sylvian and Fukui. The Deluxe Edition is simply breathtaking from the photo provided on the site. The edition is $85 plus shipping where applicable. While that may seem steep, consider what you are getting– CD and DVD plus two gorgeous books in a slipcover. It should sit proudly with any art book you may have in your collection. The standard edition has a suggested price $15.99 and available either from Samadhi Sound or other retail outlets like Amazon- who has it for $12.99. 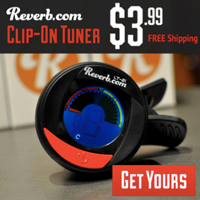 Published on May 4, 2009 in Bands/Artists, Music and Retail. 0 Comments Tags: 50th Anniversary, CD, Columbia, Dave Brubeck, dvd, Legacy Edition, Quartet, Sony, Time Out. One of my all time favorite jazz records is the 1959 Columbia release Time Out by the Dave Brubeck Quartet. 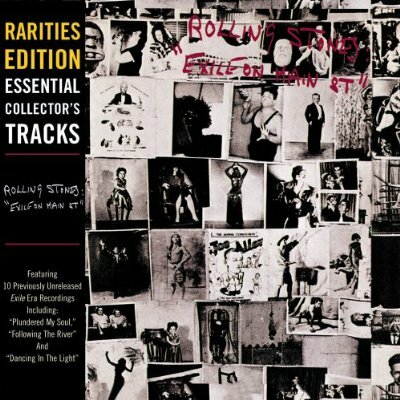 I have this release on compact disc (not the remaster) and a couple copies on vinyl. Frankly, it is a lot of people’s favorite jazz release– it is one of the best selling jazz albums ever (next to Miles Davis’s Kind of Blue also produced by Teo Macero). It has the distinction of having a single that reached the Top 5 on the Adult Contemporary chart– “Take Five” composed by band member Paul Desmond. 2009 is the 50th Anniversary of Time Out, and to celebrate the occasion Sony Legacy is re-releasing it’s 1997 compact disc remaster of the album on May 26th. According to this posting on the Down Beat website, the second disc is made up of previously unreleased performances from The Newport Jazz festival from 1961-1964. So, sadly, no unreleased session outtakes for this release. The unreleased Newport recordings are a nice touch, I suppose but makes the release not worth much more than the 1997 remaster except for the third disc in the release which is a DVD with an interview with Dave Brubeck on Time Out as well as some photographs and an “interactive piano demonstration” (who knows what this is?). I spent time today trying to find any information on this release other than the paltry little bit that the online retailers have and was not successful. No press release, no mention of the release at the Sony Legacy website (at least at the time of this writing)! So, while it might be nice that they are doing a new packaging of the release, they don’t bother to promote it. 50th anniversary box with the 180g blue vinyl, the CD, DVD and book that they did last year. 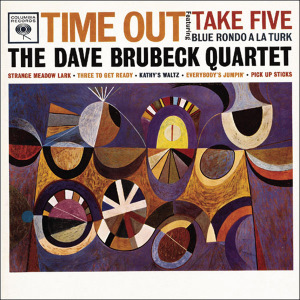 I will pick this up because I’m interested to see the interview with Brubeck (who turned 88 last December) and I don’t have the remastered version of Time Out. Published on January 2, 2009 in Bands/Artists, Media, Music and Television. 0 Comments Tags: austin city limits, Calexico, dvd, upcoming release. I was pretty happy to hear about this release. Back in 2006 during their Garden Ruin tour, Calexico taped an Austin City Limits show– part of which was aired with part of a Sufjan Stevens performance. As much as I like both acts, I was disappointed that Calexico didn’t get a full hour. On January 20th, this is fixed as New West is releasing as part of their “Live from Austin, TX” series the full Calexico performance from Austin City Limits expanding the show from the seven tracks aired to 15! This is a nice mix of (at the time) old and new songs. With a catalog like Calexico’s it’s interesting to see which tracks the band chose for their set at ACL, and which tracks ACL chose to air. 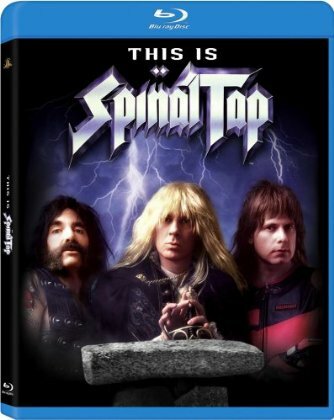 Considering that “All Systems Red” from Garden Ruin is about the frustration of second Dubya election, it’s sort of fitting that this DVD is released at the Inauguration of President Obama. The Time to play b-sides archives for the dvd tag.